“With so much snow on our large terrace balcony at Athertyn, Susan thought it would a fun idea this afternoon to build a snowman. We may now live in a 55+ community, but we are still kids at heart! 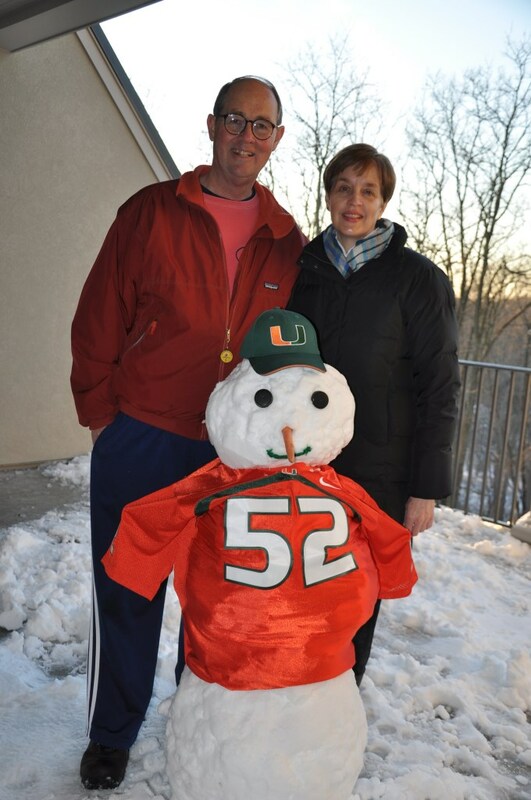 With “my” University of Miami playing Duke in basketball on national TV tonight, Susan endorsed my idea to make it a Miami snowman for good luck. It seemed to work since the Hurricanes beat Duke by 11. -shared by Athertyn Residents Sam and Susan Ballam. Thank you for sharing!